Back by popular demand! Thursday Network invites you to our themed Karaoke Night Fundraiser. We couldn’t let this year go by without hosting another one. The theme this year? Y2K (Year 2000)! This is your chance to break out your best renditions of Ja-Rule & Ashanti, DMX, Destiny’s Child, and Outkast. We’ll have categories for best individual performance, best group performance, best duet and best crowd pleaser! So bring your A game. The audience will be the judge. Winner receives a year’s worth of bragging rights. Attendees are also encouraged to dress up in clothing reminiscent of this period. 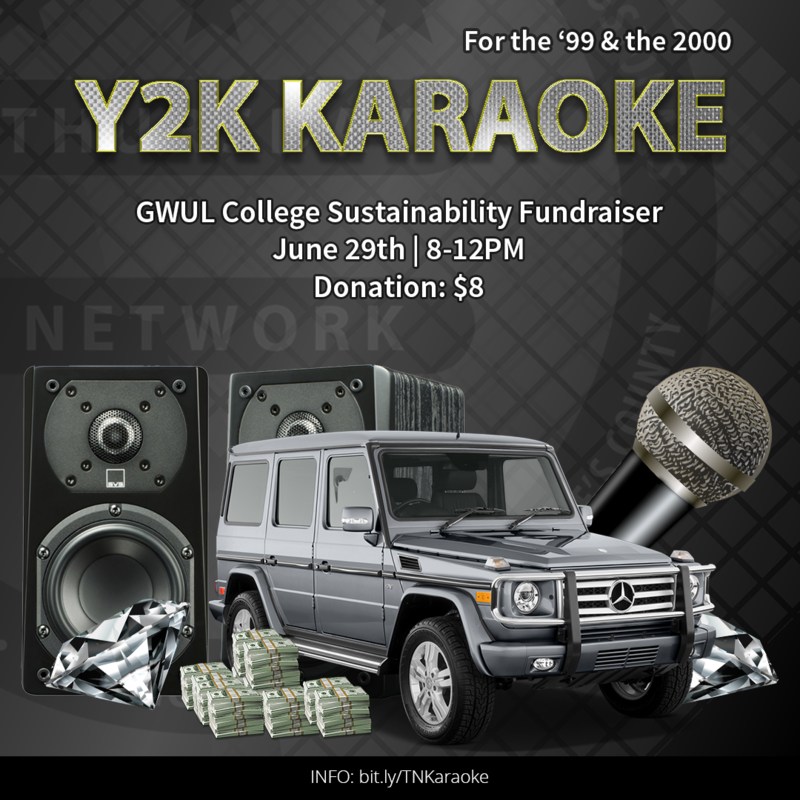 All proceeds raised during the evening will benefit GWUL’s College Sustainability Fund and TN’s programming.